San Francisco, CA – At the San Francisco Department of Emergency Management, we like to say we plan and prepare for everyday and not-so-every day emergencies. 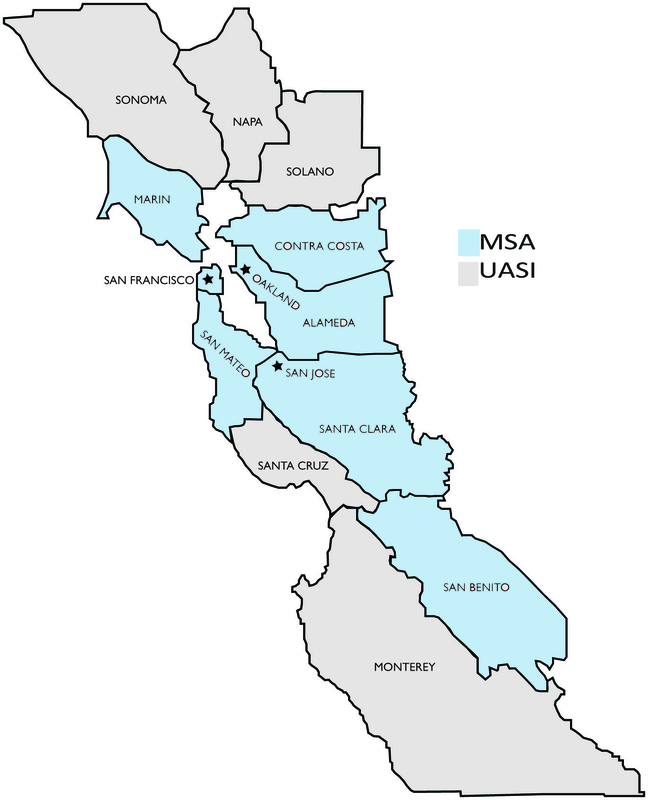 A tsunami that could flood our coastal neighborhoods along the ocean and the bay? That certainly qualifies as a not-so-everyday emergency. March 23 to 29 is National Tsunami Preparedness Week. San Francisco is hosting emergency exercises and community events to help City government and San Franciscans become better prepared. 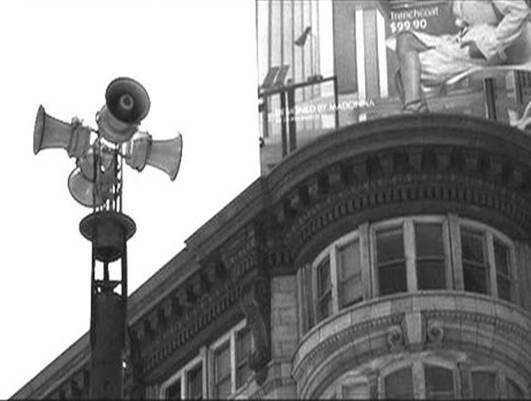 Beginning on Wednesday, March 26 and continuing until Friday, March 28, the Department of Emergency Management is leading an emergency operations center exercise to practice San Francisco’s alert and warning procedures, response capabilities, and recovery operations before, during, and after a tsunami. Dozens of city departments, community organizations, state, and federal agencies are participating. 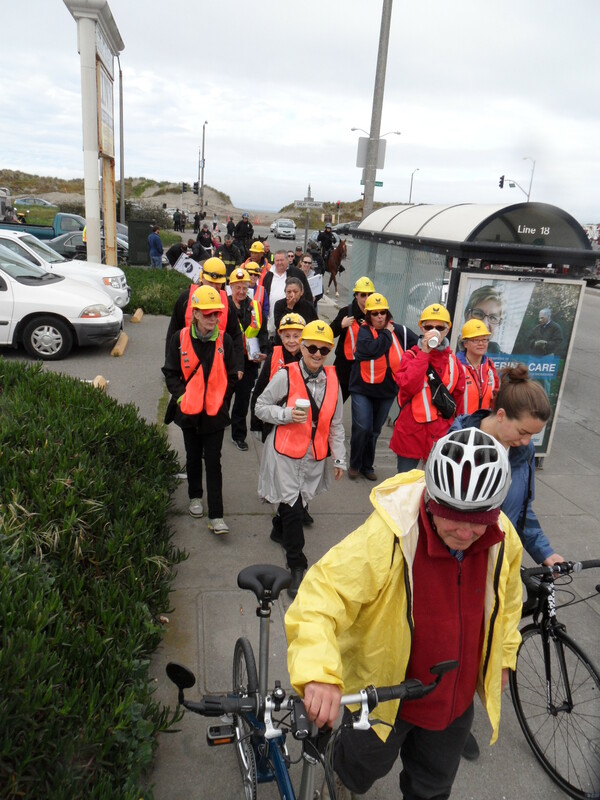 On Saturday, March 29, San Franciscans, first responders, and volunteers will participate in the SF Tsunami Walk. Like during an actual tsunami evacuation, walkers will move away from the coast and head to higher ground. The walk begins at 10:30 a.m. at the Marina Green, Marina Boulevard and Scott Street, and ends at the Marina Branch Library on Chestnut Street and Webster Street. A preparedness fair including a hands-only CPR demonstration and training will greet walkers at the library. The event is sponsored by Department of Emergency Management, San Francisco Neighborhood Emergency Response Team (NERT), American Red Cross Bay Area Chapter, and the Neighborhood Empowerment Network. Since 1850, over fifty tsunamis have been recorded or observed in the San Francisco Bay. 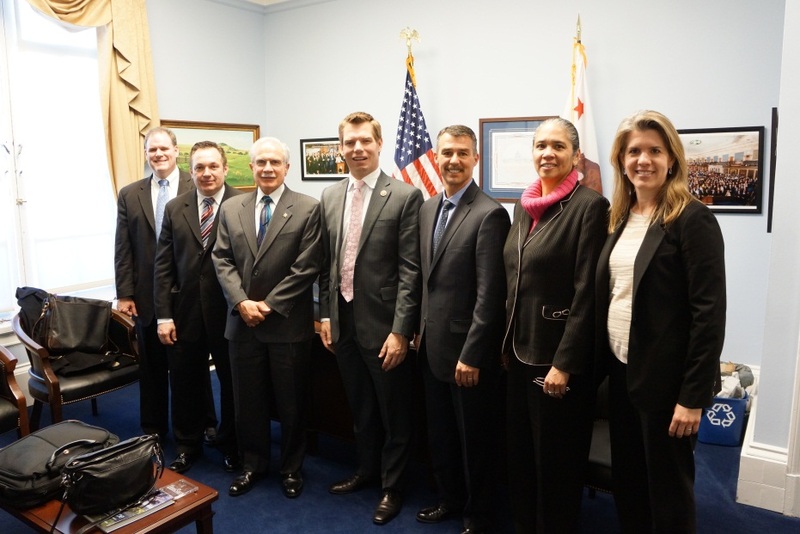 The most recent event was during the 2011 Tohoku Earthquake and Tsunami, which registered three to four foot waves in parts of the bay and resulted in approximately $100 million in damage statewide. According to the U.S. Geological Survey, San Francisco’s tsunami risk includes neighborhoods along both the ocean and the bay. San Francisco’s tsunami inundation zone map can be found at www.sfdem.org/tsunamizone. 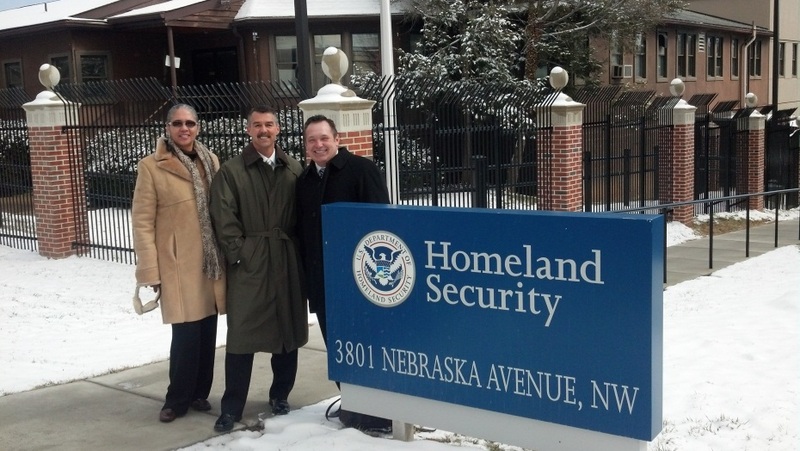 Preparedness is all about people. 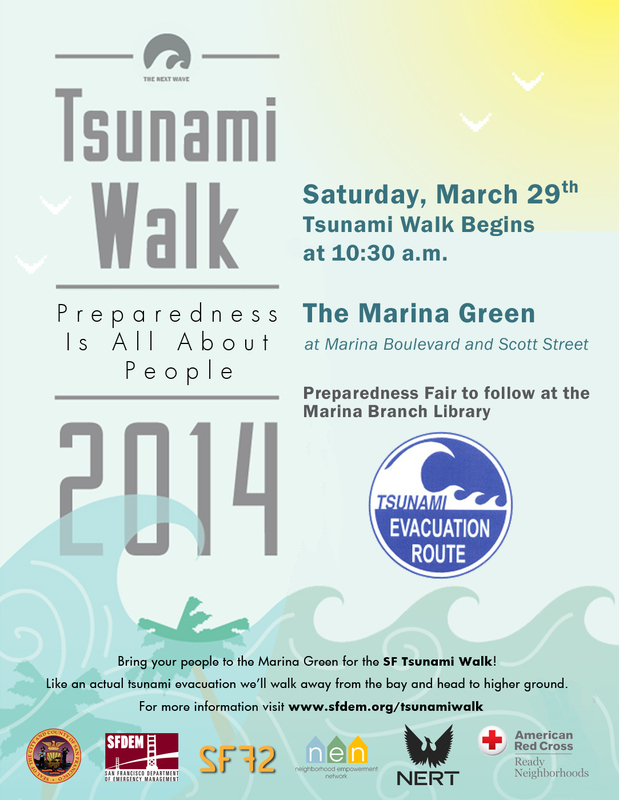 So bring your people to the Marina Green for the SF Tsunami Walk! Like an actual tsunami evacuation we’ll walk away from the bay and head to higher ground. The SF Tsunami Walk is on Saturday March 29 at 10:30 AM and begins at the Marina Green at Marina Boulevard and Scott Street. We’ll walk inland along Cervantes Boulevard until we reach Fillmore St. Our walk will end at the Marina Branch Library where we can learn more about how to take care of ourselves, our families, and our neighborhoods in any emergency- even tsunamis. March 23 to 29 is National Tsunami Preparedness Week. In addition to the Tsunami Walk, the San Francisco Department of Emergency Management is conducting a three-day tsunami exercise to practice with City’s alert and warning procedures, response capabilities, and recovery operations in an tsunami. For information on how you can prepare for any emergency visit www.sf72.org.